Last updated April 19, 2019 by Lisa Richards, CNC Reviewed by Dr Eric Wood, ND. Treating your Candida means making some changes to your eating habits and lifestyle. The list of foods to avoid on the Candida diet contains the foods that are most troublesome for Candida sufferers. 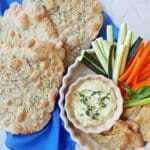 These include sugary snacks, glutenous grains, high-sugar fruits, condiments, and refined oils. On this website, we have divided foods into lists of foods to eat, foods to avoid, and the ‘maybe’ list. This page contains a comprehensive list of foods to avoid. You should also check out the foods to eat list, which contains foods that you can eat without worry on your Candida diet. Lastly, the ‘maybe’ list contains the foods that are unlikely to feed a Candida overgrowth or worsen gut health, but that you should still eat only in small amounts. Some of the foods in this list provide energy, in the form of sugars, directly to the Candida colonies. Other foods weaken your immune system and reduce your body’s ability to fight off infection. And there are also foods that affect your digestive system, for example by slowing it down or irritating the intestinal membrane. If you really want to reduce inflammation in your gut, improve your digestion, and beat your Candida infestation for good, give yourself the best chance possible by avoiding all the foods on this list. 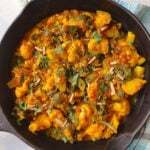 You can find the foods to avoid table on this page. Below the table, we have included some more detailed advice on which foods to avoid, and why. As you try to improve your gut health, it’s important to understand exactly why certain foods are included in the diet and why other foods are excluded. If you come across a food that’s not on the list, you can use the same logic to determine whether or not you can eat it on your Candida diet. Everything on this list has been excluded from the diet for one of the three reasons below. 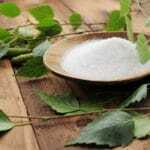 Why is sugar so important for Candida albicans? 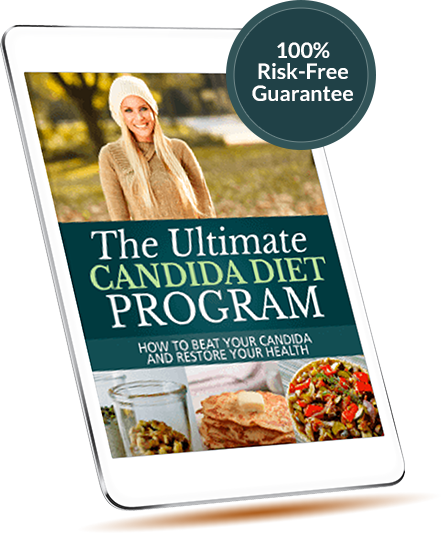 The fact is that Candida needs sugar to grow, expand its colonies, and build the protective biofilms that enable it to hide from your immune system. In fact, those biofilms are constructed of 32% glucose (1). It doesn’t matter whether this sugar comes from processed foods or the natural sugars in fruit. That’s why sugary snacks and high-sugar fruits are both off the menu. It’s not just people with celiac disease that need to avoid gluten. A few years ago, going gluten-free was regarded as something of a fad, but the evidence now shows that many people can improve their health by avoiding gluten (2). Gluten causes inflammation in the gut, worsens intestinal permeability, and can worsen your Candida symptoms. That’s why glutenous grains are excluded from the diet. Gluten is not the only food that can cause inflammation in the gut. 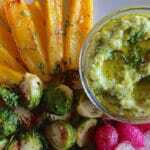 Refined vegetable oils are a good example. They contain high levels of pro-inflammatory omega-6 fatty acids that can increase inflammation if not balanced out by foods rich in omega-3s (3). Alcohol and caffeine are other examples of foods that can irritate and inflame the gut lining. This is a comprehensive list of foods that should be avoided during your Candida diet. We have tried to be as thorough as possible, but please be aware that there may be other foods not on this list. For foods not on this list, use your common sense and consider whether they are high in sugar, or inflammatory, or otherwise unhealthy. Are you still unsure about the foods on this list? Let’s take a closer look at the reasoning behind each one. Do you buy packaged and processed food from your local supermarket? If so, you might not even be aware of how much added sugar you are really consuming. There are at least 50 different names for sugar that can appear on your ingredients label. Often, several different types of sugar will be used in the same food. The worst culprits tend to be foods like breakfast cereals, condiments, and soft drinks. Always read food labels to make sure your food doesn’t contain added sugars. Candida albicans needs sugar both for cellular growth and to switch to its more aggressive, fungal form (4). Sugar is also the main constituent of the biofilms that it uses to protect itself from your immune system (5). Unfortunately, the average American eats something like 30-40 teaspoons of added sugar each day (6). Don’t be tempted by ‘healthier’ sweeteners like agave and maple syrup. They are high in natural sugars and just as likely to feed a Candida overgrowth. What’s more, agave is highly processed and contains more fructose than High Fructose Corn Syrup. Be careful with artificial sweeteners like aspartame too. Aspartame can weaken your immune system and raise inflammation (7). In animal studies, aspartame has even been shown to cause long-term increases in blood sugar by changing the composition of the gut microbiome (8). If you think that consuming aspartame-sweetened foods is good for your health, think again. There are healthier sweetener choices that won’t raise your blood sugar or cause long-term health problems. Try plant-based sweeteners like stevia or monk fruit. Some sugar alcohols, like erythritol or xylitol, are also good options although they may cause occasional digestive upset in some people. In the long run, try to wean yourself off sweeteners altogether. It’s not just people with Celiac disease who struggle with glutenous grains. Many people with gut imbalances, including those with Candida overgrowth, also have a high sensitivity to gluten. Going gluten-free used to be considered a ‘fad’ diet, but there is now an increased understanding of how Non-Celiac Gluten Sensitivity (NCGS) can affect our health (9). The gliadins in gluten have been shown to interact with cells in the intestinal lining, causing them to release a compound named Zonulin (10). Zonulin then reacts with other cells in the intestinal lining, causing the junctions between those cells to widen (11). This is how gluten contributes to intestinal permeability (leaky gut) and inflammation. It’s also why you should absolutely avoid gluten on your Candida diet. Gluten is a very common trigger for food sensitivities and often results in symptoms like bloating, indigestion, cramping, brain fog, and fatigue. If you already have a Candida problem, eating gluten is likely to exacerbate your symptoms. It also likely to irritate and weaken your intestinal walls. When discussing gluten, many people don’t realize that the grain varieties we eat today are very different from those that our ancestors enjoyed. Today’s varieties have increased yields, but they also contain far more gluten than was present before. Our digestive systems are simply not designed to cope with this. Give your gut a break and stay off gluten during your anti-Candida diet. If you want to eat grains, consider including small amounts of non-glutenous pseudo-grains like millet and buckwheat instead. The high sugar content in some fruit is a good food source for Candida albicans, even though the sugars in fruit are natural sugars. Most fruits should be avoided in the early stages of the diet. There are some low-sugar exceptions, for example lemons, limes, and avocados. Berries also tend to be low in sugar and can be consumed in small amounts. You can judge whether a fruit is acceptable on the Candida diet by looking at its net carbs. This is calculated by finding the total carbohydrates then subtracting the fiber and sugar alcohol. For example, a cup of blackberries or raspberries contains approximately 6-7 grams of net carbohydrates. By comparison, a cup of pineapple contains 21 grams of net carbs and a cup of grapes contains 25 grams. It’s particularly important to avoid dried fruits like raisins or dried cranberries. The act of drying fruits dramatically increases their sweetness – just look at how much sweeter raisins are compared to grapes. A cup of raisins contains 110 grams of net carbohydrates! Another key fruit product to avoid is fruit juice. You might think that fruit juices would have an almost immediate impact on your blood sugar levels, because they lack the natural fiber that slows down your absorption of sugar. This is not actually true – in fact, fruit juice has very little immediate impact on blood sugar (12). However, the reason for this is that fruit juices are very high in fructose, which doesn’t affect blood sugar in the short term but which can contribute to insulin resistance, fatty liver disease, and diabetes in the long term (13, 14). In other words, fruit juices won’t immediately affect your blood sugar, but in the long-term they likely will. Both fruit juices and dried fruit are good examples of how a relatively low sugar fruit can be processed into something that has a much greater impact on your blood sugar. You’ll find that this is a common theme on this page – processed foods are generally worse for your health than their unprocessed or raw equivalents. Some types of meat are perfectly acceptable on a Candida diet, for example chicken and turkey. Red meats are still generally acceptable but in smaller amounts. Red meat can cause constipation and has been linked to various cancers of the gastrointestinal tract. However, there are some meats that you should definitely avoid. Processed meats like lunch meat, salami, and spam are loaded with dextrose, nitrates, sulfates, and other sugars. These foods are particularly harmful because they contain sugars and are pro-inflammatory too. They can worsen a gut imbalance like Candida, weaken your immune system, and promote inflammation in your gut (15, 16). The World Health Organization has calculated that consuming 50g of processed meat each day increases the risk of getting bowel cancer in your lifetime by 18%. 50 grams is a very small amount of processed meat, approximately equal to four strips of bacon or a single hot dog (17). The evidence is clear that processed meats can have a very negative effect on your health. You should also be careful to cook your meats thoroughly. For example, pork tends to contain parasites like tapeworm and roundworm, as well as listeria, E. coli, and Salmonella. These organisms can sometimes survive cooking and are harmful for those with a weakened digestive system. The same goes for beef burgers and any other kind of ground meat product – these are meats that should always be cooked well. The best meats to consume on the Candida diet are white meats like chicken or turkey. Try to buy local, organic, and hormone-free if you can. You can also get plenty of protein from eggs and fish. Fish are a good source of protein to include in your Candida diet. But you need to make sure that the fish on your plate does not contain toxins that can undermine your recovery from a Candida overgrowth. Large fish like shark, king mackerel, albacore tuna, and swordfish tend to contain excessive amounts of heavy metals and other contaminants (18). This is because they live to be older and larger, and they have spent a great deal of time swimming in our (sadly) polluted oceans. A University of Michigan study found that mercury levels in tuna increased 3.8% each year from 1998 to 2008. This trend is likely to continue. Mercury has been shown repeatedly to damage the immune system, which is a crucial part of the ongoing battle against pathogenic organisms like Candida (19). The good news is that there are still plenty of fish that contain few toxins and that you can incorporate into your Candida diet. Stick to small fish like herring or sardines, as these have less time in the ocean to accumulate mercury. Wild-caught salmon (especially from Alaska or the Pacific coast) or cod are also better choices. Most dairy products should be avoided on the Candida diet. Dairy foods like milk and cheese tend to contain lots of natural sugars (e.g. lactose) and they can also be difficult to digest. Many people have latent sensitivities to dairy products (especially those from cow’s milk) without even realizing it. The culprit is usually the lactose or casein found in products like milk or cheese. Some aged cheeses made from goat’s or sheep’s milk are more suitable for the Candida diet. Also note that raw dairy products typically have lower levels of lactose. Raw milk contains the enzyme lactase that helps us to digest lactose. It goes without saying that you should steer clear of any dairy product that contains added sugars. Examples are sugary yogurts, ice cream, and chocolate milk. These are likely to spike your blood sugar, which is exactly what you are trying to avoid. There are some forms of dairy that are OK on the Candida diet. Ghee and butter are low in lactose and usually used in small amounts. Ghee in particular is very low in lactose. Kefir and probiotic yogurt are fermented foods and have tremendous health benefits due to the probiotic bacteria that they contain. The fermentation process for kefir and yogurt removes most of the natural sugars and makes them more readily digestible. Most nuts are perfectly OK to include in your Candida diet. In fact, they’re a great source of protein and calories when you’ve removed much of the carbohydrate from your eating plan. Nuts are an especially important part of the diet for vegetarians. Be aware that some nuts do contain larger amounts of mold. Candida sufferers tend to have a higher sensitivity to mold, which can lead to inflammation and an immune reaction (just like mold in your home). The nuts that are highest in mold are usually peanuts, cashews, and pistachios, so you might want to think about excluding these from your diet until you have recovered from your Candida overgrowth. If you do choose to eat them or use them in a recipe, make sure they are soaked overnight or sprayed with Grapefruit Seed Extract before you use them. Also remember to avoid nut butters made from these particular nuts. Many condiments and salad dressings contain large amounts of hidden sugars, which can exacerbate your Candida overgrowth. These sugars might be listed on the ingredients label as cane sugar, corn syrup, fruit juice concentrate, maltodextrin, or any one of a number of different names. Ultimately, they are all sugar. As mentioned above, Candida albicans uses sugar for a number of different purposes. It needs sugar to grow, to build the biofilm that protects it from your immune system, to switch into its pathogenic, hyphen form, and more. Products like salad dressings might be marketed as a healthy choice, when in reality they are the exact opposite. For an alternative salad dressing, try homemade dressings with combinations of coconut aminos, olive oil, lemon juice, garlic, salt, and pepper. Other condiments to avoid include dips like barbecue sauce and ketchup, which are very high in added sugars. Watch out for long lists of additives and preservatives too. If you need to add flavor to your food, try to do it by adding herbs, spices, and healthy oils instead. Refined and processed vegetable oils are generally bad news for your health, and you should avoid them while on the anti-Candida diet. There are plenty of excellent oils to choose from, without resorting to these over-processed vegetable derivatives. Inflammation in the gut (and elsewhere) is one of the key problems caused by a Candida overgrowth. This is due to multiple factors – for example, a lack of butyrate-producing bacteria and an increase in intestinal permeability. The wrong choice of cooking oil can serve to exacerbate that chronic inflammation. Refined vegetable oils like sunflower oil contain large amounts of pro-inflammatory omega-6 fatty acids (20). On the other hand, safer oils like olive oil contain fewer omega-6s and more of the anti-inflammatory omega-3s. Olive oil, coconut oil, flaxseed oil, and sesame oil are much better options than inflammatory oils like canola or sunflower. Olive oil is a great choice, and an antifungal food too, but be aware that there are lots of fake olive oils out there. You might buy your olive oil in a reputable store, but that doesn’t necessarily mean that it’s 100% olive oil. Other, cheaper oils like canola are often mixed in to boost profit margins (21). Also steer clear of ‘fake’ butter spreads and margarine. They raise inflammation and prevent your body from utilizing omega-3 fatty acids. Moreover, a diet high in partially hydrogenated fatty acids has been linked to insulin resistance and type 2 Diabetes (22). Real butter is a much healthier choice! Drinking large amounts of alcohol can lead to a temporary drop in your blood sugar, something that many people don’t realize. On the other hand, drinking moderate amounts of alcohol tends to increase your blood sugar. Additionally, alcoholic drinks are often associated with high sugar mixers and foods. Destabilizing your blood sugar is never a good idea when you have a Candida overgrowth, and is likely to put extra stress on your liver and other internal organs. In the long run, alcohol consumption tends to decrease the effectiveness of insulin, leading to consistently higher blood sugar levels. Alcohol can also increase gut permeability and negatively affect your immune system. For more information, check out our post on the 7 reasons to avoid alcohol on your Candida diet. For similar reasons, sugary drinks are generally a bad idea on the Candida diet. Fruit juices are high in fructose which, although it won’t raise your blood sugar immediately, can contribute to insulin resistance, fatty liver disease, and diabetes in the long term (23, 24). Many of the drinks that you find in cans or cartons at your local supermarket are even worse. They are generally either high in sugar or full of unhealthy, artificial sweeteners like aspartame and sucralose. Energy drinks tend to be particularly loaded with added sugars and stimulants, so they should be eliminated from your diet too. Many people like to avoid caffeine while they’re on a Candida diet. This is not always necessary but it really depends on your own health situation. Caffeinated drinks like tea and coffee have some undoubted, well-researched health benefits, and for most people drinking some caffeine will not be a problem (25). However, if your Candida overgrowth has made you tired and burned out, it might be better to minimize your caffeine intake. If you choose to include coffee or tea on your list of foods to eat, there are three important things to be aware of. First, remember that caffeine will keep you awake. Studies have shown that even drinking caffeine 6 hours before bed will lead to a restless, impaired sleep (26). So if you drink coffee, try to drink it in the mornings only. Second, don’t overdo your coffee drinking. Besides the effect that it can have on your sleep, the repeated spikes in your blood sugar and cortisol production are no good at all for your health and immune system. If you find yourself drinking coffee all through the day, or if you are gradually increasing the strength of your coffees because they are having less and less effect, it might be time to cut back. Excessive coffee or tea drinking is a sign that you might be burned out. Third, don’t drink coffee on an empty stomach. Consuming caffeinated drinks on an empty stomach has the potential to irritate the stomach and potentially the gut. If you do choose to cut back or eliminate your caffeine intake, there are some excellent alternatives. Chicory coffee has the same bitter taste, is good for your digestion, contains a prebiotic, and has no caffeine at all. You can also try herbal teas. The foods to avoid on the Candida diet include anything that contains added sugars, glutenous grains, high-sugar fruits, alcohol, and refined vegetable oils. Most of the foods on this list are high in sugar, cause inflammation in the gut, or contain gluten. If you are unsure whether you can eat a particular food, try to figure out if it fits in one of these categories. To improve your gut health and digestion, aim to buy unprocessed, natural foods that contain no added sugars. 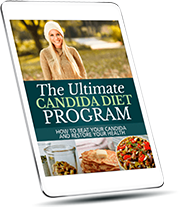 If you’re looking for more information on how to follow the Candida diet, our Ultimate Candida Diet program contains all the detailed information that you need. Thousands of people have used it to rebalance their guts and improve their overall health. It comes with handy shopping lists that you can take to the store, and more than 50 delicious recipes to make use of all those tasty, Candida-safe ingredients!